It’s still in its infancy, but the idea that Norway would reduce highway travel time – without ruining the nation’s beautiful fjords – is under serious consideration. The project proposes a solution to the country’s transportation problems, which include some 1190 fjords and countless mountains. Not every fjord has to be crossed to be sure, but the ones that do are in need of some serious creative thinking. Norway’s big idea is as outside of the box as a Star Trek solution: a floating, underwater tunnel. Not just any tunnel either. Norway is proposing a multiple-lane national highway that could reduce cross-country travel time from 21 hours down to about 11. Preserving the beauty of Norway’s coastline is just as important as cutting down travel time, and an underwater-tunnel seems like the panacea the nation is looking for. 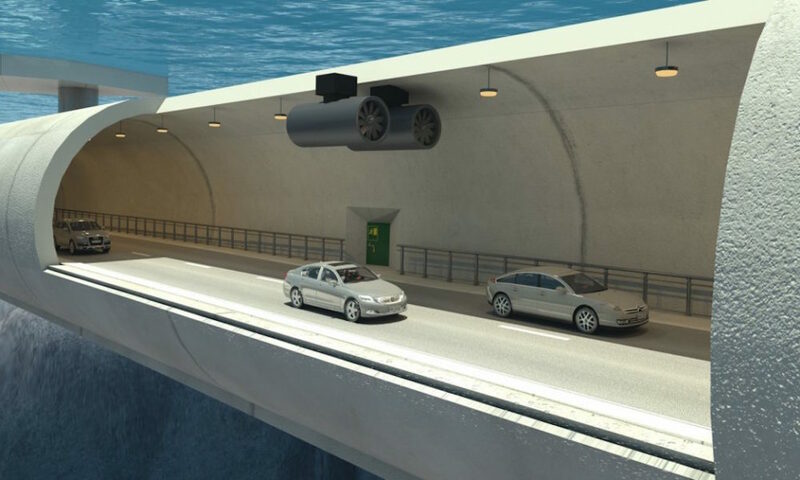 The tunnel is planned for Sognefjord; a 4,000-foot-deep fjord that’s nearly 3,000 foot across and one of Norway’s most prominent crossings. Currently, travellers can take a route of ferries and roundabout highways to get to point A. Rural Norwegians can spend hours to days on the road, but all of that could change with the dual-tube tunnel. 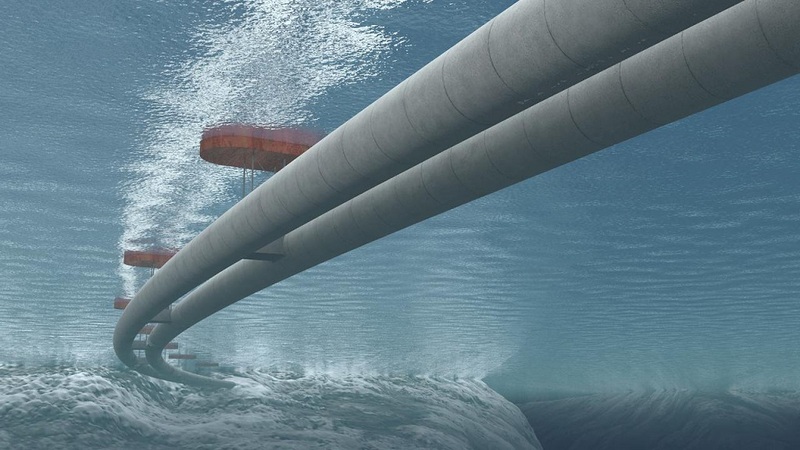 The concrete tubes would float with the help of surface pontoons large enough to support their incredible weight. What’s more, the roadway would be impervious to weather at the surface: a major factor in Norwegian road-building. The idea of a floating highway isn’t all that new: Washington state boasts a floating bridge nearly 8,000 foot long. 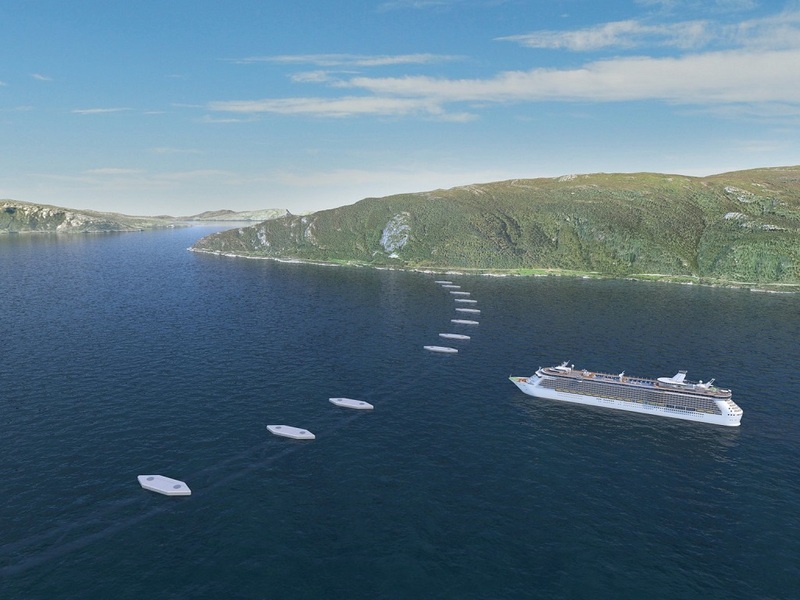 Other floating bridges around the world are in place but Norway’s Sognefjord project is something entirely new. The tunnel poses a number of challenges for engineers, but the hope remains that the proposal could see rubber sooner than later.